"We need to drink the red liquid from the cursed dark sarcophagus in the form of some sort of carbonated energy drink so we can assume its powers and finally die." On July 19, archaeologists finally looked inside the previously-unopened Ancient Egyptian sarcophagus that had been unearthed in Alexandria several weeks prior. 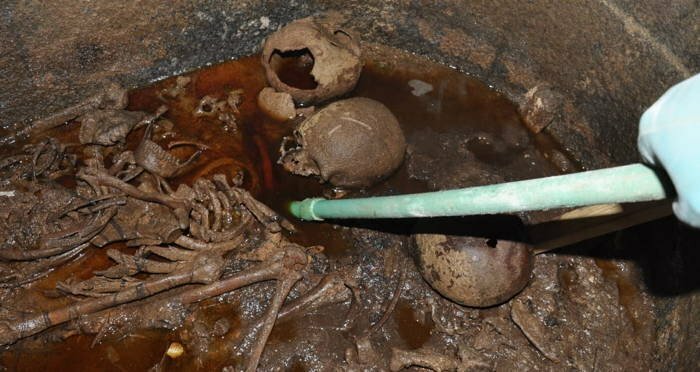 And what they discovered was three skeletons floating around in a mysterious, 2,000-year-old red liquid, and soon the internet started buzzing about what this “mummy juice” might be. Now, with some suggesting that the liquid might possess some sort of special powers were you to consume it, there’s actually a Change.org petition calling on Egyptian authorities to allow those who want to drink the “mummy juice” to do so. Change.org user Innes McKendrick wrote in the description of the petition that the signees “need to drink the red liquid from the cursed dark sarcophagus in the form of some sort of carbonated energy drink so we can assume its powers and finally die” (which is the entirety of the description). Apparently, such sentiments resonated with others (whether in earnest or in jest). The petition currently has more than 22,000 signatures — just a couple thousand short of its goal of 25,000. However, some of those signees might want to reconsider when they learn what researchers have now determined about the identity of the mystery liquid. This “mummy juice” isn’t magical at all, it’s actually just sewage water. But even this fact hasn’t stopped “elixir of life” believers from wanting to drink the stuff, as petition signatures continue to pile up by the minute. Egypt Ministry of AntiquitiesThe unopened sarcophagus. And the popular fascination with this sarcophagus doesn’t stop there. Aside from the internet speculating about the fantastical nature of the “mummy juice,” the skeletons inside have also inspired some theories as to who the skeletons might have belonged to. One popular hypothesis is that the 30-ton tomb (which is the largest one yet to have been discovered in Alexandria) belongs to Alexander the Great, who founded the city of Alexandria in 331 B.C. The Macedonian leader died in 323 B.C. in Babylon (modern-day Iraq), but his final resting place has never been discovered, though many archeologists have claimed to have found his tomb in the past. The mystery surrounding Alexander the Great’s tomb had some worried that if this latest sarcophagus does belong to the great ruler, that those who open it could suffer some sort of curse and die. This fear is likely inspired by the string of deaths of people that had been involved with the discovery and opening of Egyptian King Tutankhamun’s tomb in 1922. 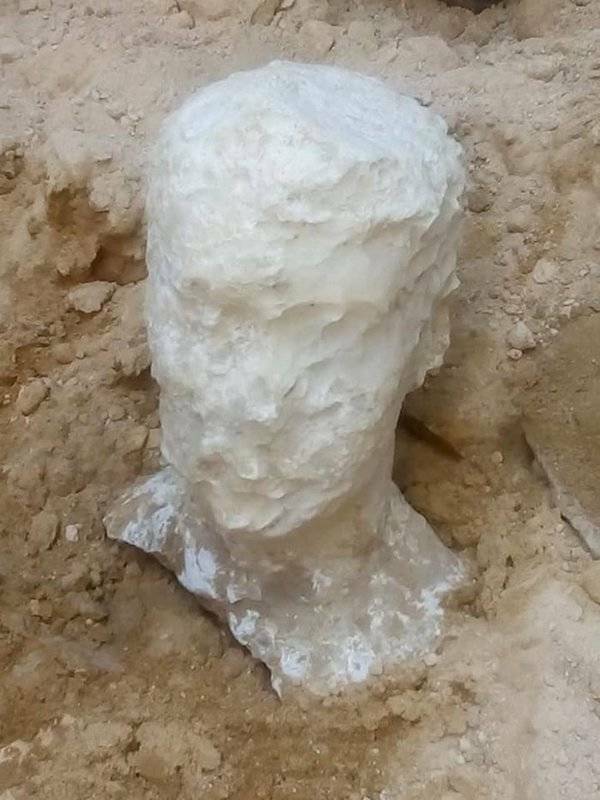 Egypt Ministry of AntiquitiesAlabaster head found with the sarcophagus. But Dr. Mostafa Waziri, secretary-general of Egypt’s Supreme Council of Antiquities, has said that the remains are most likely not linked to Alexander the Great and assured everyone that they shouldn’t worry because he and his team are still standing. 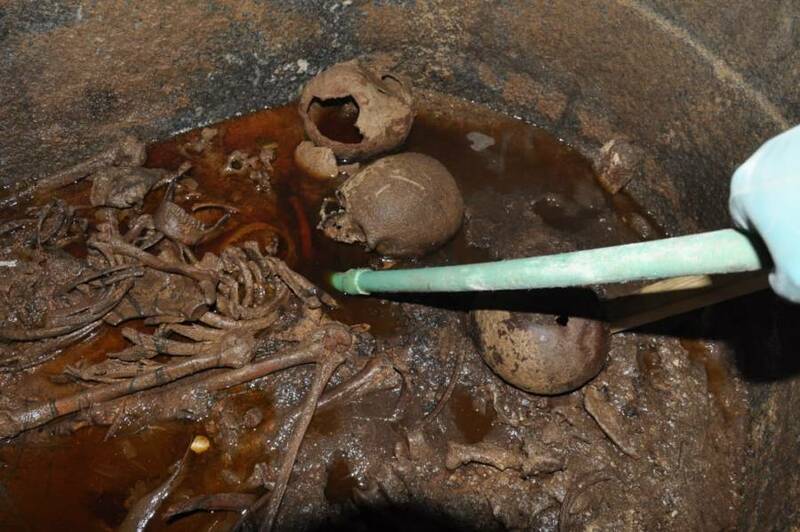 Even though nobody was harmed during the opening of this tomb and the fountain of youth didn’t present itself in the form of this weird red sarcophagus liquid, the internet has still found a way to keep these wild theories from dying out. Next, discover the most interesting facts about Ancient Egypt. Then, learn how the Egyptian pyramids were built.